Wilmington, North Carolina and the surrounding area (also known as the Cape Fear region) is home to approximately 100,000—but this number continues to grow every day. 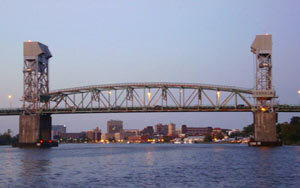 The city of Wilmington was incorporated in 1866 and has long been North Carolina’s principal seaport. This beautiful, historic city stands between sandy, white beaches of the easternmost shore of the Atlantic and the rolling, coastal Carolina foothills. Wilmington is home to a bustling trade port, an exciting movie industry, public and private school systems and one of the most temperate climates on the East Coast, which makes it ideal for golf lovers! The Downtown Historic District of Wilmington serves as a rich and vibrant reminder of the city’s history throughout the years. Running amongst centuries old live Oaks are hybrid cars and wireless internet signals. Stunning antebellum mansions line the city blocks of this unique coastal paradise on the cutting edge of technology and industry (PPD, GE, Corning). Visitors can still take horse-drawn carriage rides through the city streets. There are more restaurants per capita than any other city in the U.S to choose from. Pubs and restaurants line the streets to get your fill of fantastic Low-Country and Southern cuisine. There is also no denying the powerful presence of the art, music and culture in our community. From the powerful Cameron Art Museum to the grandeur of Thalian Hall…. the arts are thriving in the Cape Fear region. There are over a dozen private galleries and studios around the area many of which feature our proud local artists and sculptors. The musical art of Wilmington is one of this city’s great strengths. On any given weekend, you can attend a number of musical performances. Local favorites are always playing and larger, renowned artists visit the city year-round to hold shows at our first-rate music venues. Many theatre groups call Wilmington home. The talent here always guarantees a wonderful evening out to see a quality performance. Actors from stage and screen alike perform throughout the season. One of the city’s biggest attractions is UNC Wilmington, part of the North Carolina public education system. The University was ranked one of the “Best of the Southeast” by the Princeton Review in 2008. Many students come for the excellent Nursing School as well as one of the best Marine Biology programs in the country. The University provides employment for many in the area and continues to educate the future leaders of tomorrow while providing them with a safe and healthy coastal environment to thrive in. Our local film industry, affectionately dubbed “Hollywood East” by actors, directors and producers, has grown to host some of the top-rated television shows of today including: One Tree Hill, the hit show Dawson’s Creek, NBC’s Surface, Sleepy Hollow, Under the Dome, Revolution, Secrets and Lies, Matlock, and Young Indy. HBO has shot in the area as well. The region has been a backdrop for many major motion pictures like Yaya Sisterhood, Domestic Disturbance, Summer Catch, Iron Man 3, Safe Haven, and Blue Velvet to name a few. The area saw its first big break come in 1983 when Frank Capra, Jr. was scouting for a film location for Firestarter and stumbled upon our unique and beautiful city. More than 20 years later, Sony owned Screen Gems Studios is still churning out hits and box-office thrillers. Wilmington is a premier filming location because of its temperate and sunny climate as well as its many versatile scenic locations. Wilmington is host to a talented pool of crew members and actors from all over the country. 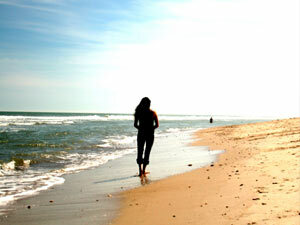 Because of our beautiful weather, many choose to raise a family here or seek it as a retirement location. Residents, visitors and students alike get to experience an average of 224 days of sunshine a year with average temperatures in the 60’s! Out-of-state visitors are often shocked by the tranquility and pleasantness of the climate here. The springtime months are the most exquisite as the city blooms in rich explosions of color signaling the annual Azalea Festival. This event celebrates the stunning local flora and brings thousands of visitors to the area supplementing our economy and industry. Our summertime population also swells with visitors seeking to experience our fabulous mid-Atlantic beaches and scenic Intracoastal waterways. In the fall the Cape Fear River attracts visitors for the Riverfest celebration. 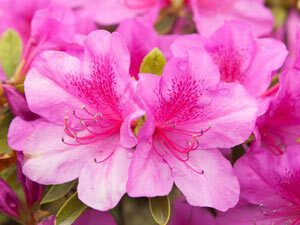 There are many other celebrations and festivals throughout the year because of our attractive Carolina weather. Southeastern North Carolina is a place rich with character and local flavor, but it’s so much more than that—it’s a place to call home. It can feel “big city” or “small town”. Wilmington is all about “living the lifestyle”. There are so many ways to live in this area (boating, golfing, waterfront, historic). 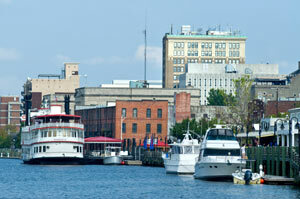 Wilmington is a great place to live, a place to own a home and a place to make your own. Choose a lifestyle: from the coastal waters to the cobblestone city streets… the Cape Fear region has been attracting people for centuries. Come visit today and you just might stay!